Delaware Decriminalization Bill Filed. State Rep. Helene Keeley (D-Wilmington) and several cosponsors have filed House Bill 39, which would make possession of up to an ounce a civil infraction punishable only by a fine. Public use would remain subject to jail time, but for no more than five days. Maryland Push for Legalization Underway. Supporters of legalization held a press conference last Friday to push the idea forward. State legislators, including Del. Curt Anderson (D-Baltimore) were joined by a Colorado legislator and Seattle City Attorney Pete Holmes. The press conference came as legalization supporters prepared to brief legislative committees on the topic. Maryland decriminalized it last year. Minnesota Poll Finds More Want to Legalize It Than Don't. A new Public Policy Polling survey finds just short of a majority for legalizing pot there. Some 49% said they thought marijuana should be legal and regulated, while 44% thought it "should remain illegal." Support for medical marijuana, meanwhile, was at 76%. New Hampshire Decriminalization Bill Filed. Rep. Adam Schroadter (R-Newmarket) and seven cosponsors have introduced House Bill 618, which would decriminalize the possession of small amounts of marijuana. New Hampshire is the only New England state that has not decriminalized. New Mexico Decriminalization Bill Filed. State Sen. Joseph Cervantes (D-Dona Ana County) has introduced Senate Bill 383, which would decriminalize the possession of up to four ounces and eliminate jail time for possession of up to eight ounces. Currently, possession of less than an ounce is a petty misdemeanor with possible jail time, while possession of between one and eight ounces is a misdemeanor with up to a year in jail. Virginia Decriminalization Bill Dies in Senate Committee. A bill that would have decriminalized pot possession in the Old Dominion was killed last Wednesday in the Senate Courts of Justice Committee. Senate Bill 686, introduced by Sen. Adam Ebbin (D-Alexandria) died in a 9-5 party line vote. Philadelphia Pot Arrests Drop 88% After Decriminalization. Philadelphia police arrested only 63 people for marijuana possession between October 20 and year's end, marking a massive decline in marijuana arrests after decriminalization. Last year during the same time period, there were 559 possession arrests. Connecticut State Commissioner Agrees to Expand Qualifying Ailments List. Consumer Protection Commissioner Jonathan Harris said this morning that he will follow the recommendation of the program's Board of Physicians and is drafting new regulations to include sickle cell disease, post-surgical back pain with a condition called chronic radiculopathy, and severe psoriasis and psoriatic arthritis to the list of qualifying conditions. But that's not the end of it. Now, the proposal must be approved by the state attorney general and then by the General Assembly's Regulation Review Committee. A vote there could come by spring. Maine High Court Rules Using Medical Marijuana Can Make Parents Unfit. The Maine Supreme Judicial Court has ruled in a child custody case that even though medical marijuana is legal in the state, its use can make a person an unfit parent. "Determining what is in the best interest of the child necessarily involves considering whether a parent's ability to care for his or her child is impaired, including by his or her marijuana use. As with any medication or substance, the question of whether a parent's ingestion of marijuana is legal is only part of the equation. The more important question is whether that ingestion negatively affects, limits or impairs a parent's capacity to parent his or her child," Chief Justice Leigh Saufley wrote in the eight-page decision. The case is Daggett v. Sternick. Mississippi Medical Marijuana Bill Filed. State Sen. Deborah Dawkins (D-District 48) has filed Senate Bill 2318, which would allow patients with specified conditions to use medical marijuana. The bill doesn't envision dispensaries, but would allow patients to grow their own with a physician's recommendation. North Dakota Medical Marijuana Bill Filed. Rep. Pamela Anderson (D-Fargo) has introduced House Bill 1430, which would allow patients with qualifying conditions to use medical marijuana. But there is a big loophole. Patients could also qualify if they suffer "any persistent or chronic illness or condition that, in the opinion of a physician, substantially limits the ability of a person to conduct one or more major life activities; or may cause serious harm to the patient's safety or mental or physical health if not alleviated; if the illness or condition may be improved by the use of marijuana." Oregon Bars Medical Marijuana Patients From Being Child Care Providers. The state Early Learning Council has voted to bar patients from being child care providers. The decision follows a six-month temporary rule that was issued last August and gave patients an ultimatum: your patient card or your child care business. Tennessee Low-THC Cannabis Oil Bill Filed. State Rep. Jeremy Faison (R-District 11) today introduced House Bill 197, which would allow the use of cannabis oil with less than 0.9% THC for medical purposes. Chicago Federal Prosecutors Drop "Stash House" Cases. The US attorney's office in Chicago has dropped dozens of serious drug conspiracy cases that were based on undercover stings where law enforcement agents enticed people into robbing non-existent drug stash houses. The law enforcement technique has come under strong criticism that it amounts to entrapment and is used disproportionately to target minorities. Clarence Walker has covered this issue for the Chronicle here and here. New York City Pays to Settle Killing of Black Teenager Over Weed. The city has settled with the family of Ramarley Graham, an 18-year-old black teen who was shot dead in his own bathroom by an NYPD cop who had stormed into his apartment without a warrant after suspecting he had marijuana. The killer cop, Richard Haste, was indicted in the shooting in 2012, but a judge threw out that indictment and a second grand jury failed to indict. Police said they suspected he had a gun because of the way he moved his hands near his waist. No weapon was ever found. The city has now agreed to pay the Graham family $3.9 million. National Sheriffs Association Wants Deputy Attorney General Nominee "Investigated" for Pro-Drug Reform Comments. The group is upset with Vanita Gupta, nominated to head the department's Civil Rights Division. She has called for the decriminalization of all drugs, and that "put her at odds with the goal of public safety," the sheriffs complain. How her publicly made remarks would be "investigated" remains to be seen. Jamaica Senate Begins Debate on Decriminalization. The Senate last Friday began debating a bill that would decriminalize marijuana and establish a licensing authority for a marijuana industry on the island. The bill would also allow for Rastafarians to use ganja for religious purposes. Debate is expected to continue in the Senate in coming days before the bill is sent to the lower chamber. It is expected to pass, since the ruling party, which submitted it, controls both chambers and the opposition also supports its broad outlines. Venezuela Shoots Down Suspected Drug Plane Off Aruba. The Venezuelan defense ministry confirmed last Friday that its fighter jets had shot down a civilian plane suspected of carrying drugs. The plane went down off Aruba. Aruban officials had reported a day earlier that a plane had come down in flames, and human remains and packages of drugs could be seen in the water. Venezuela has shot down a number of suspected drug planes in recent years. Washington State "Comprehensive Marijuana Reform Act" Filed. State Sen. Jeanne Kohl-Welles (D-Seattle) is filing this week legislation designed to bring the state's existing medical and recreational marijuana systems into agreement. "The main intent of my bill is to simplify and unify the two systems so that complex gray areas and dangerous illicit markets will eventually cease to exist," she said. The bill would eliminate unregulated dispensaries and collective gardens, but it would also direct the state Liquor Control Board to increase the number of retail outlets by adopting a competitive, merit- and experience-based licensing application system. Kansas Parents Get Senate Hearing on Medical Marijuana Bill. The Senate Public Health and Welfare Committee heard Wednesday from parents of chronically ill children were speaking in support of pending medical marijuana legislation, SB 9, introduced by Sen. David Haley (D-Kansas City). Click on the title link for hearing details. Maine Bill Would Allow Medical Marijuana in Hospitals. State Sen. Eric Brakey (R-Auburn) has filed LD 35, which would allow registered patients to use medical marijuana in hospitals. It does so by adding hospitals to list of eligible primary caregivers, the list of places where patients can store and use medical marijuana, and barring hospitals from prohibiting the use of smokeless marijuana by patients. Nebraska Medical Marijuana Bill Filed. State Sen. Tommy Garrett (D-Bellevue) has filed LB 643, a full-blown medical marijuana bill that allows patients or caregivers to grow up to 12 plants and possess up to six ounces, envisions a dispensary system, and allows the plant to be used for a specified list of diseases and conditions. New Jersey Legislators Tackle Package of Heroin and Pain Pill Bills. State Sen. Joseph Vitale (D-Woodridge), chairman of the Senate Health, Human Services and Senior Citizens Committee, announced Wednesday that legislators from both parties had introduced a package of 21 bills aimed at confronting widespread heroin and prescription pill use. The bills are designed to increase access to treatment and recovery. Click on the link for more details. Virginia House Panel Approves Bill Ending Civil Asset Forfeiture. A bill that would require a criminal conviction before asset forfeiture could take place has passed the Criminal Law Subcommittee of the House Committee for Courts of Justice. HB 1287, sponsored by Del. Mark Cole (R-Spotsylvania) now heads for a full committee vote. Vera Institute for Justice DC Event Next Week Features Sen. Cory Booker. The Vera Institute is hosting "Justice in Focus: The Path Forward," in Washington, DC, next Tuesday. The event will feature a keynote interview with Sen. Cory Booker (D-NJ), as well as panels with other major figures in criminal justice reform. Click on either link for more information and event details. Wisconsin Governor Moving Forward With Public Benefits Drug Testing Scheme. Republican Gov. Scott Walker today announced more details of his plan to require drug screening and testing of people seeking public benefits, including food stamps and unemployment benefits. He said that those who fail the drug test would get a chance for free drug treatment and receive job training. More details will come when he unveils his budget proposal on February 3. Supreme Court Hears Arguments Over Roadside Detentions While Awaiting Drug Dogs. How long can a police officer detain you on the side of the highway while waiting for a drug-sniffing dog to come sniff your vehicle? That was the question before the Supreme Court Wednesday. The case is that of a man pulled over in Nebraska. He was issued a warning ticket and asked to consent to a search of his vehicle. He refused, but rather than allow him to go on his way, the officer detained him for eight more minutes until a drug dog arrived. From their questions, it doesn't appear the justices are inclined to side with the defendant; click the link to get the flavor of their comments. The case is Rodriguez v. US. Jamaica is About to Decriminalize Ganja. The island nation most closely associated with marijuana is about to decriminalize it. The Jamaican cabinet Monday approved a bill that would do just that, as well as allow for the creation of medical marijuana and hemp industries. The bill, the Dangerous Drugs (Amendment) Act of 2015, goes to the Senate tomorrow and will be debated there next Friday. It would decriminalize the possession of up to two ounces of ganja; allow its use for religious, medical, scientific, and therapeutic purposes; prohibit smoking it in public places; and provide for the granting of licenses for the development of a legal hemp and medical marijuana industry. In a report released last night and in a New York City press conference this morning, a number of global leaders, including former heads of state, called for drug decriminalization and the regulation of psychoactive drug markets. Those same global leaders are meeting this afternoon with UN Secretary General Ban Ki-Moon and his deputy, Jan Eliasson. These world leaders are members of the Global Commission on Drugs and their new report is Taking Control: Pathways to Drug Policies that Work. The commission's members include former Brazilian President Fernando Henrique Cardoso, former Mexican President Ernesto Zedillo, former Colombian President Cesar Gaviria, former Swiss President Ruth Dreifuss, former UN Secretary General Kofi Annan, Virgin Airlines founder Richard Branson, and more. Putting health and community safety first requires a fundamental reorientation of policy priorities and resources, from failed punitive enforcement to proven health and social interventions. Focus on reducing the power of criminal organizations as well as the violence and insecurity that result from their competition with both one another and the state. Take advantage of the opportunity presented by the upcoming UNGASS in 2016 to reform the global drug policy regime. Rely on alternatives to incarceration for nonviolent, low-level participants in illicit drug markets such as farmers, couriers and others involved in the production, transport and sale of illicit drugs. Stop criminalizing people for drug use and possession -- and stop imposing "compulsory treatment" on people whose only offense is drug use or possession. Allow and encourage diverse experiments in legally regulating markets in currently illicit drugs, beginning with but not limited to cannabis, coca leaf and certain novel psychoactive substances. Ensure equitable access to essential medicines, in particular opiate-based medications for pain. In other words, decriminalize drug possession, legalize and regulate drug markets, and end the failed decades-long embrace of prohibitionism. This is a policy advance from the Commission's initial 2011 report, which, while breaking new ground in advancing the debate of drug prohibition, did not go as far as calling for efforts to regulate and legalize drugs. "Ultimately, the global drug control regime must be reformed to permit legal regulation," said Cardoso. "Let's start by treating drug addiction as a health issue -- rather than as a crime -- and by reducing drug demand through proven educational initiatives. But let's also allow and encourage countries to carefully test models of responsible legal regulation as a means to undermine the power of organized crime, which thrives on illicit drug trafficking." "Health-based approaches to drug policy routinely prove much less expensive and more effective than criminalization and incarceration," said former Mexican President Zedillo. "Decriminalization of drug consumption is certainly crucial but not sufficient. Significant legal and institutional reforms, both at the national and international levels, are needed to allow governments and societies to put in place policies to regulate the supply of drugs with rigorous medical criteria, if the engines of organized crime profiting from drug traffic are to be truly dismantled." The Commission's report today is only the latest evidence of growing global momentum for fundamental drug policy reforms. After the Commission's 2011 report, sitting Latin American heads of state, including Presidents Juan Manuel Santos in Colombia, Otto Perez Molina in Guatemala, and José Mujica in Uruguay, as well as then-President Felipe Calderón in Mexico, for the first time made drug reform a major topic at the Summit of the Americas in April 2012 in Cartagena, Colombia. That was followed 13 months later by an Organization of American States report, commissioned by the heads of state of the region, calling for consideration of drug legalization along with other possible scenarios as a potential policy alternative. And late last year, Uruguay broke new ground, becoming the first country in the world to legalize and regulate marijuana commerce. All of this has created a big push for a new look at global drug prohibition during the UN General Assembly Special Session (UNGASS) on Drugs set for 2016. The last UNGASS, in 1998, was dominated by rhetorical calls for a "drug-free world" and ended with unrealistic goals of suppressing illicit drug production (which, of course, have not been met), but the Commission and the global political leaders whose voices it echoes are working to use the next UNGASS to advance a frankly and radically reformist alternative. 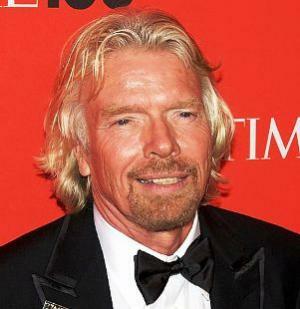 "We can't go on pretending the war on drugs is working," said Richard Branson. "We need our leaders to look at alternative, fact-based approaches. 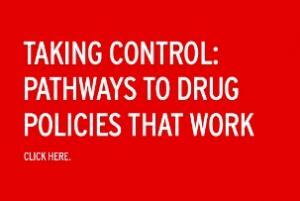 Much can be learned from successes and failures in regulating alcohol, tobacco or pharmaceutical drugs. The risks associated with drug use increase, sometimes dramatically, when they are produced, sold and consumed in an unregulated criminal environment. The most effective way to advance the goals of public health and safety is to get drugs under control through responsible legal regulation." American drug reformers liked what they were hearing. "When the Commission released its initial report just three years ago, few expected its recommendations to be embraced anytime soon by current presidents," said Ethan Nadelmann, executive director of the Drug Policy Alliance. "But that's exactly what happened, with Colombian President Santos and Guatemala President Perez-Molina speaking out boldly, former Mexican President Calderon calling on the United Nations to reassess the prohibitionist approach to drugs, and Uruguayan President Mujica approving the first national law to legally regulate cannabis. Meanwhile, one Commission member, former UN Secretary General Kofi Annan, has opened up the drug policy debate in West Africa, recruiting some of the region's most distinguished figures," he noted. "The import of the Commission's report lies in both the distinction of its members and the boldness of their recommendations," Nadelmann continued. "The former presidents and other Commission members pull no punches in insisting that national and global drug control policies reject the failed prohibitionist policies of the 20th century in favor of new policies grounded in science, compassion, health and human rights. There's no question now that the genie of reform has escaped the prohibitionist bottle. I'm grateful to the Commission for the pivotal role it has played in taking drug policy reform from the fringes of international politics to the mainstream." "With polling having shown consistent majority voter support for legalizing marijuana in the US for several years now, it's been clear that this is a mainstream issue in this country," said Tom Angell of Marijuana Majority. "Now this group of world leaders has not only put marijuana legalization on the table for serious consideration on the global stage, but has gone even further by suggesting that ending the prohibition of other drugs should be considered as a way to better protect public health and safety. The hope now is that these forward-thinking recommendations by so many respected former heads of state will encourage current officials to modernize their nations' policies." 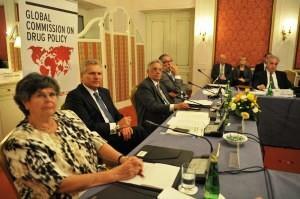 The Global Commission on Drugs is showing the path forward to more enlightened drug policies. Now it's up to citizens to push for reform from the bottom up, and it's up to national and international leaders to start making those changes at the national and international level. 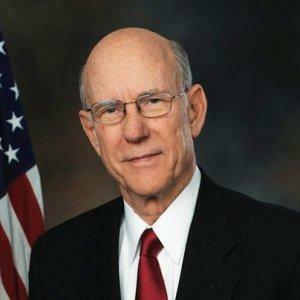 Kansas Republican US Senator Pat Roberts Says Legalization Should Be Up to the States." [Marijuana is] not a federal issue. That's a state issue. If you want to get a Rocky Mountain high, go west. That should be for the Kansas legislature and the governor to decide, not federally," Roberts said during a campaign debate last Saturday. Marijuana Majority's Tom Angell was inspired to respond: "When a conservative Republican senator from Kansas tells the feds to let states legalize marijuana in the middle of a tight race for reelection, it's pretty clear that the days when politicians thought they needed to be as 'tough' on drugs as possible in order to get elected are over. But Sen. Roberts needs to do more than just talk about change. At the very least he should team up with Sens. Cory Booker & Rand Paul on their effort to stop federal interference with state medical marijuana laws." York, Maine, to Vote on Possession Legalization Initiative. York will be the third Maine community to vote on marijuana reform this year. Organizers for an initiative removing penalties for simple pot possession have handed in enough signatures to qualify for the November ballot. York joins Lewiston and South Portland in voting on the issue this year. Portland, the state's largest city, approved a similar initiative last year. Los Angeles Event to Mark 100th Anniversary of First "Marihuana" Raid. Cal NORML and the Coalition for Cannabis Policy Reform will host a press conference marking the 100th anniversary of the nation's first "marihuana" raid in LA's Mexican Sonoratown neighborhood on Thursday, September 11 at 10 am on the steps of LA City Hall. And LA NORML will be hosting an "End the 100 Year War on Pot" party on Saturday, September 13. State and local political officials and advocates will address the failed marijuana policy that has cost California billions of dollars in arrest, prosecution and prison expenses; fueled an illegal black market and lined the pockets of violent narcotrafficantes; promoted environmentally damaging trespass grows on public and private lands; and blocked access to useful medicine, all while failing to stem drug abuse in the state and depriving it of billions in tax dollars from a legitimate industry. Click on the title link for more details. Illinois Accepting Applications for Medical Marijuana Businesses. The state Agriculture Department is now taking applications from people who want to open dispensaries or cultivation centers. There are 22 licenses available for growers and 60 for dispensaries. Washington Post Takes on Asset Forfeiture, In an ongoing series of articles, The Washington Post is taking a cold-eyed look at asset forfeiture practices and the law enforcement culture that has grown around them. The article linked to above examines a private intelligence network used by cops across the country to trade information on motorists and help them decide whom to subject to pretextual traffic stops in order to look for loot to seize. There's a lot of dirt in here, and there's more to come as the series continues. NFL, Players Union in Drug Policy Talks.The NFL and its players' union are meeting today to try to thrash out new drug policies. Marijuana use is a key topic. The league has been criticized recently for treating pot-smoking offenses by players more seriously than domestic abuse. Obama Administration Announces Expanded Prescription Drug Takeback Plan. The White House announced today that hospitals, pharmacies and other medical facilities will be authorized to collect unused prescription drugs, a move designed to keep the drugs out of the hands of people who may attempt to abuse or sell them. "We know if we remove unused painkillers from the home, we can prevent misuse and dependence from ever taking hold," said Michael Botticelli, the acting director of the White House Office of National Drug Control Policy. "These regulations will create new avenues for addictive prescription drugs to leave the house and be disposed of in a safe, environmentally friendly way." DEA Sets Production Limits for Pain Relievers, With Big Increases for Some. In a Federal Register notice posted last Friday, the DEA released a list of dozens of Schedule I and II substances subject to production quotas next year. Twenty-two of the 63 substances will see increases in production quotas next year, including cocaine, codeine, dihydrocodeine, hydromorphone, and ephedrine. The DEA says the changes are based on public comments that quota amounts were "insufficient to provide for the estimated medical, scientific, research and industrial needs of the US." Among substances seeing quota decreases are amphetamine, methamphetamine, and methadone. New York Times Video "Retro Report" Takes on History of SWAT. As part of a video documentary series presented by the Times called Retro Report, the nation's newspaper of record examines the rise of SWAT-style policing, tracing its roots to the turmoil and tumult of the 1960s. Once rare, SWAT teams now appear ubiquitous, whether in big cities or sleepy small towns. They are now under greater scrutiny in the wake of the Ferguson, Missouri, protests, making this report quite timely. British Liberal Democrats to Consider Drug Decriminalization, Legal Marijuana Sales. Britain's Liberal Democrats, the junior partner in a governing coalition with the Conservatives, will consider drug decriminalization and marijuana legalization at their party conference next month. The announcement comes after a party policy paper to be debated at the conference called on the party to "adopt the model used in Portugal, where those who possess drugs will be diverted into other services." The paper also said the party "welcomes the establishment of a regulated cannabis market in Uruguay, Colorado and Washington state. These innovative approaches are still in their infancy and the data that would allow us to examine their impact are not yet available. We will establish a review to examine the impact of these schemes in relation to public health," it said. Australia's Tasmania Reverses Course, Will Allow Medical Marijuana Trials. Tasmania's governing Liberals will support medical marijuana trials, the health minister told a parliamentary inquiry. The minister, Michael Ferguson, had rejected a bid for trials in the state just weeks ago in July. But now he has changed his tune. "We support appropriately conducted clinical trials, feeding into the existing national medicines regulatory framework," he said. "We will objectively consider any proposal regarding a trial of medicinal cannabis on a case-by-case basis." Amnesty International Report Says Torture in Mexico Out of Control. Reported cases of torture and mistreatment by police and armed forces in Mexico have increased six-fold in the past decade, according to a new report issued by Amnesty International. The report says much of the increase was driven by the Mexican government's aggressive effort to repress drug trafficking organizations. Top Albanian Christian Democrat Calls for Marijuana Legalization. The head of Albania's Christian Democratic Party, Zef Bushati, has called for the legalization of marijuana on his Facebook page. "Countries are okay with that," he wrote. "First USA, France and now Italy. It's business. It increases the economic level. I never knew or even imagined that cannabis was cultivated all over Albania. When I knew that I started thinking about those families that needed to feed with this kind of job." 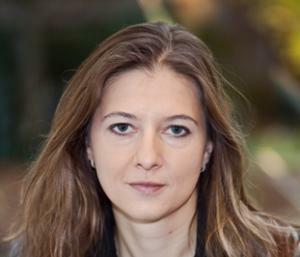 Christian Democrats have only one member in the Albanian parliament. Oregon Democratic Party Endorses Legalization Initiative. Oregon's Democratic Party has endorsed Measure 91, the New Approach Oregon marijuana legalization initiative. "A majority of Americans and large majority of Democrats now support state regulation of legal marijuana use," the party said. "Measure 91 is the right approach to legalization in Oregon, strictly regulating use while funding law enforcement and schools. Vote Yes on 91." No Decriminalization Vote in Toledo in November. Even though Northwest Ohio NORML turned in sufficient signatures to qualify a decriminalization initiative for the local ballot earlier this month, voters will not have a chance to get their say in November because the city council failed to act by today. The council doesn't have another meeting set until last week. It's unclear if the initiative is now dead, or if it will go on the ballot at a later date. Connecticut Gets First Medical Marijuana Dispensary. The first dispensary in the state opened Wednesday night in South Windsor. Prime Wellness of Connecticut is the first of six dispensaries approved for licenses by the Department of Consumer Protection. The rest will be opening in coming weeks or months. DEA Tightens Rules on Popular Pain Relievers. It is about to get more difficult to obtain popular pain medications based on hydrocodone, including widely prescribed drugs such as Vicodin. The DEA announced today that it is moving hydrocodone combination drugs from Schedule III of the Controlled Substances Act (CSA) to Schedule II. Drugs containing only hydrocodone were already placed on Schedule II, but drug combinations containing hydrocodone plus other substances, such as aspirin or acetaminophen, have been Schedule III since the CSA was passed in 1970.The DEA will publish the final rule establishing the change in the Federal Register tomorrow. It will go into effect in 45 days. Blacks in Ferguson, Missouri, More Than Three Times More Likely Than Whites to Be Arrested for Marijuana Possession. In its podcast this week, Missouri drug reform group Show-Me Cannabis points to the drug war connection in the tensions between police and residents in the predominantly black St. Louis suburb of Ferguson, plagued by more than 10 days of unrest since the killing of unarmed black teenager Michael Brown. Show-Me's John Payne points out that black residents of Ferguson are 3.25 times more likely to be arrested for marijuana possession than whites. Click on the title link to listen to the podcast. West Africa Drugs Commission Head Says Region Must Step Up, Deal With Political Weakness. Former Nigerian President Olusegun Obasanjo, who also heads the West Africa Commission on Drugs, said countries in the region must confront their political and institutional weaknesses if they are to get a handle on the drug trade. "West Africa is no longer only a transit zone of drugs but an attractive destination where pushers take advantage of the weak political system to perpetuate their trade," he said during a meeting with Ghana's President John Mahama. "We believe that we should confront openly the political and governance weaknesses which the traffickers exploit," Obasanjo said. "Drug barons can buy, they can do, and they can undo -- buy officials in the military, security and pervert justice." The commission has called on West Africa to decriminalize drug use and treat the issue as a public health problem. Peru Aims to Eradicate 75,000 Acres of Coca Plants This Year. Peru's anti-drug agency, DEVIDA, says it has already eradicated 30,000 acres of coca plants this year and plans to eradicate another 45,000 acres by years' end. The eradication is being done manually and in tandem with $90 million crop substitution program. 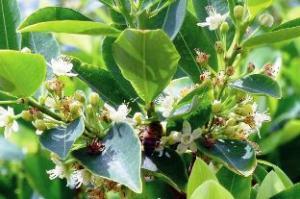 About 125,000 acres are under cultivation for coca. Peru is arguably the world's largest coca producer (vying with Colombia), and 90% of the crop is estimated to be destined for the illicit cocaine trade. Venezuela Has Shot Down at Least Three Suspected Drug Planes in Last Year. At least three planes flying out of Mexico and suspected of carrying drugs have been shot down over Venezuela since last November. This Vice News report goes into detail on the search for one of the missing pilots. A key California sentencing reform bill gets a final Assembly vote tomorrow, the Oregon legalization initiative gets some organized oppositions, Delaware gets a step closer to its first dispensary, Marc Emery gets to go home, and more. Oregon Legalization Initiative Gets Organized Opposition. The Oregon District Attorneys Association and the Oregon State Sheriff's Association are gearing up to do combat against Measure 91, the state legalization initiative. The two groups say they are deciding right now how much money to spend trying to defeat the initiative, which has already raised more than a million dollars. Federal Judge Throws Out Case Challenging Washington's Authority to Tax Marijuana. US District Judge Marsha Pechman has dismissed the lawsuit, ruling that the federal courts lacked jurisdiction. Dispensary operator Martin Nickerson, who was being prosecuted on federal marijuana charges filed the suit, arguing that he couldn't pay the state tax without incriminating himself. His attorney, Douglas Hiatt, said he will refile the lawsuit in state court. Wichita City Council Votes Against Putting Decriminalization on November Ballot, But Maybe in April. After a decriminalization initiative signature drive came up short, the city council declined last night to put the measure on the November ballot, but said it would work with organizers to put it on ballot next April. Delaware Officials Sign Contract for First Dispensary in the First State. Finally, a dispensary is coming to Delaware. Officials have signed a two-year contract with First State Compassion Center. A growing operation for it will begin this fall, and sales should commence sometime early next year. Delaware passed a medical marijuana law in 2011, but Gov. Jack Markell (D) balked at allowing dispensaries, fearing federal intervention. Last year, he decided to move forward with one dispensary, instead of the three called for in the state law. Oklahoma Governor Says She Supports Limited CBD Cannabis Oil Access. Gov. Mary Fallin (R) today asked lawmakers to support the legalization of high-CBD cannabis oil, but only for limited trials. She says CBD could be "potentially life-saving" for some children. With New Law in Effect, Minnesota Cops Start Carrying Overdose Reversal Drug. Sheriff's deputies in Hennepin County (Minneapolis) have become the first in the state to start carrying the overdose reversal drug naloxone after a new law went into effect August 1. The law also contains a 911 Good Samaritan provision providing limited immunity for people who seek medical assistance for those suffering drug overdoses. Last year, 56 people died of heroin overdoses in the county and another 29 died in the first six months of this year. California Fair Sentencing Act Gets Assembly Floor Vote Tomorrow. The bill, Senate Bill 1010, would eliminate the sentencing disparity between crack and powder cocaine. It has already passed the state Senate. Click here to contact state legislators; click the title link for more bill information. Marc Emery is Now Back Home in Canada. 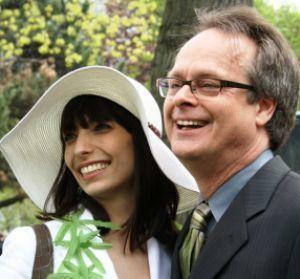 Canadian "Prince of Pot" Marc Emery is now back home in Canada after serving nearly five years in US federal prison for selling marijuana seeds. He landed in Windsor, Ontario, right around 4:20pm yesterday after leaving a private US deportation detention facility where he had been held after being released from US prison last month. He has vowed to wreak political vengeance on the Conservatives, who allowed him to be extradited to the US. Algeria Has Seized More Than 95 Tons of Moroccan Hash so Far This Year. That's up over the same period last year by about 25 tons. Morocco is the world's largest hash producer, with most of its product headed for European markets. The mass migration of tens of thousands of children and adolescents from Central America festered for months before exploding into a full-blown border refugee/immigration crisis in the last few weeks, as images of hundreds of children warehoused in temporary holding facilities competed with equally compelling images of crowds of angry Americans loudly protesting their presence. The finger-pointing is in full swing. 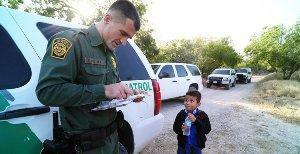 Much of it centers on the need to "secure the border" and the Obama administration's alleged failure to do so. Other Republican critics blame the administration's alleged "softness" on child immigrants as a factor pulling the kids north. Democrats counter that the GOP's blockage of long-pending immigration reform is part of the problem. A lot of the discussion centers around the "pull" factors -- those policies or social or economic realities that draw these immigrants toward the US, but equally at play are "push" factors -- those policies or social or economic factors that impel these emigrants to seek new, better lives outside their homelands. And there is finger-pointing going on about that, too, with some loud and prominent voices placing a good share of the blame on prohibitionist US drug policies in Latin America -- their emphasis on law enforcement and military responses, their balloon effects, and their other unintended consequences. 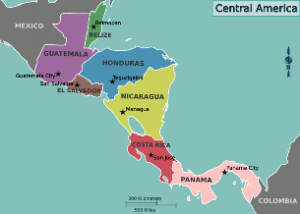 The majority of the child immigrants are coming from El Salvador, Guatemala, and Honduras, the so-called Northern Triangle of Central America (the isthmus also includes Belize, Nicaragua, Costa Rica, and Panama). Those Northern Triangle countries suffered not only devastating civil wars in the 1980s, with the US supporting conservative, often dictatorial governments against leftist popular guerrilla movements (or, in the case of Honduras, serving as a platform for counterinsurgency against the leftist Sandinista government in Nicaragua), but also chronic poverty and income inequality. Honduran President Juan Fernandez is one of the prominent voices placing the blame for the crisis squarely on the war on drugs. 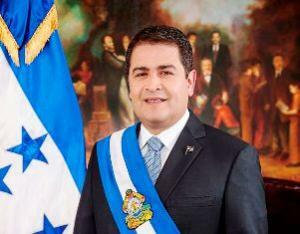 "Honduras has been living in an emergency for a decade," Hernandez told Mexican daily newspaper Excelsior. "The root cause is that the United States and Colombia carried out big operations in the fight against drugs. Then Mexico did it. This is creating a serious problem for us that sparked this migration. A good part of (migration) has to do with the lack of opportunities in Central America, which has its origin in the climate of violence, and this violence, almost 85% of it, is related to the issue of drug trafficking," he said. Former Clinton administration labor secretary Robert Reich has been another prominent voice pointing to the role of the drug war -- and earlier militaristic US interventions in the region. He let loose in a Facebook post last weekend. "I've been watching media coverage of angry Americans at our southern border waiving signs and yelling slogans, insisting that the children -- most of whom are refugees of the drug war we've created -- 'go home' to the violence and death that war has created, and I wonder who these angry Americans are," he wrote. The "United States is not a detached, innocent bystander" when it came to the refugee crisis, he explained. "For decades, US governments supported unspeakably brutal regimes and poured billions into maintaining them ($5 billion in El Salvador alone). Implacable opposition to communism -- often defined as virtually any reformer -- gave these regimes a blank check," Reich continued. "The result is a legacy of dealing with opponents through extreme violence and a culture of impunity. Judicial systems remain weak, corrupt, and often completely dysfunctional. After the cold war ended, the United States lost interest in these countries. What was left was destruction, tens of thousands dead, and massive population displacement. The percentage of people living below the poverty line is 54 % for Guatemala, 36 % for El Salvador, and 60 % for Honduras. More recently gangs, organized crime, and drug cartels feeding the US market have become part of this unholy mix." While the president of Honduras and Democrats like Reich could have political incentives in what is an increasingly ugly and partisan debate over the crisis, a number of experts on the region -- though not all of them -- agree that US drug policies in the region are playing a major role in the affair. "Although there are many factors, clearly the drug war is one of them," said John Walsh, senior associate for drug policy for the Washington Office on Latin America (WOLA). "There can't be any doubt that drug trafficking and efforts to repress it are part of the criminality and violence in Central America," he told the Chronicle. "It's not the only explanation, of course," he added. "There are decades of weak institutions and long histories of violence in the area. But if you take into account the shifting trafficking patterns resulting from the US helping other governments in the region put pressure on the industry and shift routes through Central America, it has certainly added to the problems." "We've been engaged in a drug war for 40 years, and everywhere we put pressure, it bulges out somewhere else," said Nathan Jones, fellow in drug policy at Rice University's Baker Institute in Houston. "In the Miami Vice era, we put pressure on the Caribbean, and the trade moved to Mexico. We dismantled the Cali and Medellin cartels in the early 1990s, and in hindsight, we know that also empowered the Mexican cartels." The pattern keeps repeating, Jones said. "Through the Merida Initiative, we put more pressure on the Mexican cartels -- and for very good reasons -- but that resulted in their dispersal into Central America. The Zetas and the Sinaloa cartel established alliances and began carving out chunks of Central America. They shifted to two-state and multi-stage trafficking operations and tried to minimize their risk by having their loads stop in various countries." At the same time the Mexican cartels were pushing (and being pushed) into Central America, Central American gangs were rearing their tattooed heads. Ironically enough, gangs like Mara Salvatrucha (MS-13) had their origins in another US war in the region: the Reagan-era effort to thwart the rise to power of popular leftist guerrillas. "Deportation got us into this mess in the first place," said Jones. "We had immigrants coming from Central America during the wars of the 1980s. Some of them formed their own gangs after being rejected by Mexican street gangs in places like Los Angeles, and when they showed up in the criminal justice system, we deported them back to their home countries. We transnationalized those gangs in the process, and now the violence from those very gangs is resulting in another mass migration flow. And now we are proposing the same solution of deportation. This doesn't deal with root causes." "I'm not a big proponent of the drug war as an explanation for everything," countered Eric Olson, associate director of the Latin American Program at the Woodrow Wilson Center in Washington, DC. "We need to stop thinking about the violence in Central America as a drug problem. It's a factor in the violence but not really a primary factor. Community based criminal networks involved in extortion, kidnapping, and other forms of criminal activity -- including retail drug markets -- are more of a factor," he told the Chronicle. "There is virtually no state presence in most of the areas of highest violence so it's a little hard to blame the drug war," Olson continued. "Where the drug war has been the biggest problem has been when there are mass operations and mass detentions, but even those arrests have less and less to do with drugs and more and more to do with the criminalization of gang membership, extortion, and other things. We've got to stop seeing everything through the drug war lens." "Criminal groups have diversified their business models," WOLA's Walsh conceded. "Drug trafficking is only one aspect, but the revenues are so huge that there is more money to buy weapons and corrupt officials, so it contributes to crime and impunity. There is no doubt this is part of the problem." "This is a very complicated issue, with lots of causal factors, and blaming it solely on US policy has lots of shortcomings," said Alicia Magdalena Duda, a researcher with the Council on Hemispheric Affairs (COHA). "But the drug war and the violence is a big issue." Assigning blame for the status quo is a backwards looking exercise, but what is to be done moving forward? There are divergences of opinion there, too. "We have to recognize that just equipping these countries to chase drugs around in the interest of interdicting them for our purposes isn't contributing much to reducing violence and increasing public safety," said Walsh. "Drug enforcement as measured by how much they're interdicting has no impact at best, and probably makes things worse. Rather than foster the illusion that we can eradicate the drug trade, we need to steer law enforcement there to reduce violence by going after the worst, most violent actors rather than measuring success in tons seized." "How to end the violence is a long-term issue," said COHA's Duda. "Those countries are facing extreme violence and poverty. To address this immigration crisis, we have to actively engage with them, and not just with monetary packages. One of the contributors to poverty is corruption, and corruption is rampant there. Ignoring that and just continuing with the present approach is not effective, either," she said. Duda even broached a very controversial response, one that has also been heard in regard to Mexico and the prohibition-related violence there. "Maybe they have to engage in peace talks with the gangs and cartels," she suggested. "One of the great frustrations about Central America is that we supported those right-wing regimes during the Cold War, but we didn't deal with any of the underlying conditions, the grievances, the extreme income inequality, the crushing, grinding poverty," said Jones. "We need a sustained engagement with Central America, but we also have to leverage those host governments to do the right thing. We can't have a situation where wealthy elites are not paying their fair shares of taxes. We have societies fundamentally structured along wrong principles. It will take decades to turn things around, but it needs to happen." "Our focus should be on reducing violence and addressing the factors that are actually driving the violence," said Olson. "This should include targeted law enforcement, but also prevention programs as well as gang intervention and reintegration programs. Only by reducing violence and the stranglehold criminal networks have on communities will people consider staying in place." This is a complicated problem with no easy solutions and a lot of different suggestions. Whether prohibition and US drug policies have played a key role or only a supporting one, it does seem clear that, at best, they have not helped. At worst, our drug policies in the region have increased violence and corruption in the region, enriching the worst -- on both sides of the law. The White House Office of National Drug Control Policy (ONDCP -- the drug czar's office) released its 2014 National Drug Control Strategy Wednesday. While in general, it is remarkable for its similarities to drug control strategies going back more than a decade, it does include some signals suggesting that the Obama administration is ready for a shift in emphasis in the drug war -- from a criminal justice approach to a more public health-oriented approach. But even that rhetorical positioning is somewhat undercut by the strategy's continuing commitment to the criminalization of drug users and the people who supply them, as well as particular policy prescriptions, such as its support for expansion of drug courts -- the use of the criminal justice system to enforce therapeutic health goals like abstinence from drug use, as opposed to measures that don't involve criminal justice intervention. The 2014 strategy also continues the roughly 3:2 funding ratio between law enforcement and treatment and prevention spending that has marked federal anti-drug spending since at least the Clinton administration in the 1990s. And it does so somewhat deceptively. "In support of this Strategy," ONDCP wrote in a press release, "the President has requested $25.5 billion in Fiscal Year 2015. Federal funding for public health programs that address substance use has increased every year, and the portion of the Nation's drug budget spent on drug treatment and prevention efforts -- 43% -- has grown to its highest level in over 12 years. The $10.9 billion request for treatment and prevention is now nearly 20% higher than the $9.2 billion requested for Federally-funded domestic drug law enforcement and incarceration." What the press release doesn't mention when claiming that treatment and prevention spending now exceeds spending on law enforcement is that it did not include figures for drug interdiction and international spending on the law enforcement side of the ledger. The White House's proposed federal drug budget for 2015, however, shows that those drug prohibition-enforcement costs add up to another $5.4 billion, or $14.6 billion for enforcing drug prohibition versus $10.9 billion for treatment and prevention. The strategy does, however, provide a sharper focus than in the past on reducing the harms associated with drug use, such as overdoses and the spread of HIV/AIDS, hepatitis C, and other blood-borne diseases. It calls for greater access to the opiate overdose reversal drug naloxone and supports needle exchange and state laws that provide limited immunity from prosecution for people suffering overdoses and the people who seek help for them -- the so-called 911 Good Samaritan laws. The strategy also sets a five-year goal for reducing overdose deaths, something drug reform advocates had been seeking. The strategy also acknowledges the need to reduce mandatory minimum drug sentencing and recognizes that the US has the world's largest prison population, but in absolute terms and per capita. And, implicitly acknowledging that Americans increasingly see the war on drugs as a failed policy, the 2014 strategy has adjusted its rhetoric to emphasize public health over the drug war. But, despite polls now consistently showing majority support for marijuana legalization, and despite the reality of legal marijuana in two states, with two more and the District of Columbia likely to embrace it later this year, the 2014 strategy appears not only wedded to marijuana prohibition, but even disturbed that Americans now think pot is safer than booze. That puts ONDCP at odds not only with the American public, but with the president. In an interview published in January by the New Yorker, Obama said marijuana is less dangerous than alcohol "in terms of its impact on the individual consumer." Noting that about three-quarters of a million people are arrested on marijuana charges each year, and nearly nine out of ten of those for simple possession, the Marijuana Policy Project (MPP) pronounced itself unimpressed with the new national drug strategy. 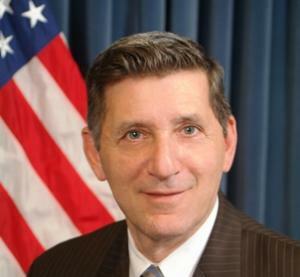 The drug czar's office is still tone deaf when it comes to marijuana policy. It appears to be addicted to marijuana prohibition. Why stay the course when the current policy has utterly failed to accomplish its goals?" asked MPP communications director Mason Tvert. "The strategy even goes so far as to lament the public's growing recognition that marijuana is not as harmful as we were once led to believe. President Obama finally acknowledged the fact that marijuana is less harmful than alcohol, yet his administration is going to maintain a policy of punishing adults who make the safer choice," Tvert continued. "Most Americans think marijuana should be made legal, and even the Justice Department has acknowledged that regulating marijuana could be a better approach than prohibition. Legalizing and regulating marijuana is not a panacea, but it is sound policy." The Drug Policy Alliance (DPA), with a wider policy remit than MPP, had a nuanced response to the release of the drug strategy. It was critical of some aspects of the strategy, but had kind words for others. "The administration says drug use is a health issue but then advocates for policies that put people in the criminal justice system," said Bill Piper, DPA national affairs director. "Until the drug czar says it is time to stop arresting people for drug use, he is not treating drug use as a health issue no matter what he says. I know of no other health issue in which people are thrown in jail if they don't get better." Still, said Piper, the drug czar's office deserves some credit for addressing serious issues associated with drug use under prohibition. "Director Botticelli should be applauded for taking strong steps to reduce drug overdose fatalities and the spread of HIV/AIDS, hepatitis C and other infectious diseases," he said. "His leadership on these issues, and his work overall to reduce the stigma associated with substance misuse, are encouraging." But when it comes to marijuana policy, DPA found itself pretty much on the same page as MPP. "The Administration continues to keep its head in the sand when it comes to marijuana law reform," said Piper. "Hundreds of thousands of Americans are being arrested each year for nothing more than possessing small amounts of marijuana for personal use. Once arrested they can be discriminated against in employment and housing for life. The administration can't ignore the destructive impact of mass arrests forever." Over the past decade, West Africa has emerged as an increasingly important player in the global illicit drug trade. Although the region has historically not been a drug producing one -- with the important exception of marijuana -- it has become a platform for predominantly Latin American drug traffickers moving their illicit commodities toward lucrative European and Middle Eastern markets. The cocaine traffic alone is worth more than a billion dollars a year, according to a 2013 report from the UN Office on Drugs and Crime (UNODC). And the trade is becoming more complex. Now, it's not only cocaine flowing through the region, but heroin destined mainly for Western Europe and methamphetamines being manufactured there and exported to Asia and South Africa, that same UNODC report found. The region -- stretching along the African coast from Nigeria to the east to Senegal on the west, and extending deep into the Sahara Desert in countries such as Mali and Niger -- is plagued by weak states and corrupt governments, making it attractive to criminals of all sorts, who thrive in lawless lands. And it's not just criminals. The region is also home to various bands of Islamist militants, some of whom are involved in the drug trade. Now, a commission of prominent West Africans is calling for fundamental changes in drug policies in the region. Last week, the West Africa Commission on Drugs, issued a report, Not Just in Transit: Drugs, the State and Society in West Africa, calling for the decriminalization of drug use, treating drug use primarily as a public health issue, and for the region to avoid becoming the next front line in the failed war on drugs. The commission is impressive. It was initiated by former UN Secretary-General Kofi Annan of Nigeria and headed by former Nigerian President Olusegun Obasanjo, and includes other former heads of state as well as a distinguished group of West Africans from the worlds of politics, civil society, health, security and the judiciary. And so is its very existence. It marks the entrance of West African civil society into the international debate on drug policy in which calls for fundamental drug reform have gained increasing momentum in recent years. In 2008, former Latin American heads of state and other luminaries formed the Latin American Commission on Drugs and Democracy, and in 2011, Annan and other world luminaries and former heads of state came together to form the Global Commission on Drug Policy. Now, West Africa adds its voice to the chorus calling for change. "We call on West African governments to reform drug laws and policies and decriminalize low-level and non-violent drug offenses," said Obasanjo upon the report's release last week. "West Africa is no longer just a transit zone for drugs arriving from South America and ending up in Europe but has become a significant zone of consumption and production. The glaring absence of treatment facilities for drug users fuels the spread of disease and exposes an entire generation, users and non-users alike, to growing public health risks." "Most governments' reaction to simply criminalize drug use without thinking about prevention or access to treatment has not just led to overcrowded jails, but also worsened health and social problems," added Kofi Annan. "We need the active support and involvement of civil society and of the international community," said commission member Edem Kodjo. "South America, where most of the drugs smuggled to West Africa come from, and Europe, which is the main consumer market, must take the lead to deal with both production and consumption at home. We cannot solve this problem alone; governments and civil society have to come together in West Africa to help prevent the drug problem from getting completely out of hand." The report won kudos from American drug reformer Ethan Nadelmann, head of the Drug Policy Alliance. "First Europe, then the Americas, now Africa," he said. "Drug policy reform is truly becoming a global movement, with Kofi Annan and Olusegun Obasango providing the sort of bold leadership that we've also seen in Latin America. Maybe, just maybe, West Africa will be spared the fate of other parts of the world where prohibition-related crime, violence and corruption spiraled out of control." But some analysts, while welcoming the report, suggested that it did not get at the heart of the problem in West Africa. "The report focuses on public health, and that's great, but I'm not sure that's the issue," said Vanda Felbab-Brown, a senior fellow with the Center for 21st Century Security and Intelligence in the Foreign Policy program at the Brookings Institution who has published extensively on West Africa. 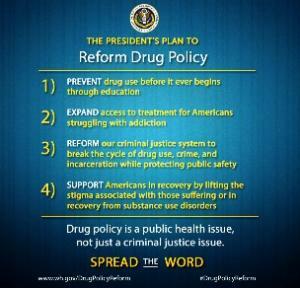 "Nor are there generally large prison populations due to the arrests of low-level drug offenders. There is increasing drug use, and many addicts don't have access to public health. That, however is not because they were arrested, but because Africa in general doesn't have access to public health," she pointed out. "In some senses, the commission report is preventative -- it warns of policies that would be counterproductive -- but it is not going to solve West Africa's problems," Felbab-Brown continued. "And the harm reduction approaches that dominate the discourse in Europe and the US are not really apropos for West African public health issues. The increasing focus of the international community is interdiction, but that accounts for only a small fraction of the total traffic, and the report doesn't deal with what kind of alternate law enforcement there should be, or who should be targeted." But others thought the criminal justice and public health emphasis in the report were a step down the right path. "The report's message about alternatives to criminalization for use and minor offenses is important in criminal justice terms -- to discourage the horrible over-representation of minor drug offenders in prisons in the region -- but also as a reminder that there are no such alternatives unless the health and social sectors develop those alternatives," said Joan Csete, deputy director of the Open Society Foundation's Global Drug Policy Program. "Health ministries need to be as important around the drug policymaking table as the police, which is far from the case in most of Africa today," she added. "Services for treatment of drug dependence in the region are absent or of appalling quality. Improving health and social support for people with drug dependence is a key to drug policy reform in West Africa." And Felbab-Brown agreed that while measures like drug prevention and treatment wouldn't solve the region's problems, they would still be helpful. "We're already seeing quite a bit of heroin in the region, and we are seeing increasing use," she said. "These are cheap and prevalent commodities, the traffickers partake in kind, and user communities are being established. In a sense, developing strategies to prevent use, get treatment, and prevent the spread of HIV and Hepatitis C is useful because there are more and more users." But for Felbab-Brown, the key problem for West Africa is its weak and corrupt states. "The big trafficking issues are around the intersection of very poor, very weak, very corrupt, and often very fragile states with state participation in various forms of criminality," she said. "Drugs are just another commodity to be exploited by elites for personal enrichment. Elites are already stealing money from oil, timber, and diamonds, and now there is another resource to exploit for personal enrichment and advancement," she argued. "One narrative has it that drug trafficking has caused fragility and instability, but I think trafficking compounded the problems; it didn't create them," Felbab-Brown continued. "There is a systematic deficiency of good governance. Many of these states have functioned for decades like mafia bazaars, and the trafficking just augments other rents. There are rotten governments, miserable institutions, and poor leadership around all commodities, not just drugs." "The states are not monolithic," Csete noted. "Some have high-level corruption, some are aggressive in trying to fight money-laundering and other elements of organized criminal networks, some rely heavily on traditional interdiction methods. Some of these countries have relatively strong democratic systems and relatively strong economic growth; some have governance institutions that are less strong." The state of the states in West Africa influenced the commission and its recommendations, Csete said. "Legalization of drugs -- production, sale, consumption -- was not judged to be politically feasible or necessarily desirable by the commission," she explained. "I think the commissioners generally perceive that generally these countries do not yet have a political climate favorable to debate on progressive changes in drug policy. The whole idea of the commission and its report is to open those debates -- high-profile people from the region saying things that sitting officials do not find it politically easy to say." "These are newer post-colonial states," Felbab-Brown noted. "Are we having unreasonable expectations? Is this like Europe in the 13th Century, or is that some of these countries are doomed to exist in perpetual misgovernance?" While there may be concern in Western capitals about the specter of West African drug trafficking, many West Africans have other, more pressing, drug policy concerns. In its 2013 report, the UNODC noted that the importation of fake pharmaceutical drugs from South and Southeast Asia into the region was a problem. Joey Tranchina, a longtime drug policy observer who has recently spent time in Mali, agrees. "Having traversed Mali from Bamako to Mopti, except for the usual oblique indigenous references to smoking weed, the only personal experience I have with drug crime is counterfeit pharmaceuticals from India, China, and Russia," he said. "They're sold cheap in the streets to people who can't afford regular meds and they take the place of real pharmaceuticals, especially malaria and HIV drugs. These drug scams are killing people in Mali," he said. "Most people in West Africa don't see drug trafficking as that much of a problem," said Felbab-Brown. "If it's mostly going to Westerners, they say so what? For them it is a mechanism to make money, and those drug traffickers frequently become politicians. They are able to create and reconstitute patronage networks around drug trafficking, just as they were once able to get elected with money from blood diamonds." It seems that, to the degree that drug use and drug trafficking are West African problems, they are problems inextricably interwoven with the broader issues of weak, fragile, and corrupt states that are unable or unwilling to deliver the goods for their citizens. The West Africa Commission on Drugs has pointed a way toward some solutions and avoiding some failed policies already discredited elsewhere, but it seems clear that that is just the beginning. Hawaii Legalization Bill Killed, But Decrim Bill Still Lives. A bill that would have legalized marijuana in the Aloha State died in a state Senate committee Thursday, but a decriminalization bill still lives. Senate Bill 2733 was "deferred" in committee, or, as Sen. Will Espero, chair of the Public Safety Committee said in remarks reported by the Associated Press, "At this time, the legalization bill is dead." But a decriminalization bill, Senate Bill 2358, remains alive. Oregon Bill to Put Legalization on November Ballot Advances. A bill that would put marijuana legalization to the voters in November advanced on a 3-2 vote in the Senate Judiciary Committee Thursday. Senate Bill 1556 must now pass the Senate Rules Committee before going to a Senate floor vote. Supporters said it would give the legislature more control than a legalization initiative sponsored by New Approach Oregon. Maryland Bill Would Ban Cooperation With Feds on Marijuana Prohibition. A bipartisan group of legislators has introduced a bill that would refuse cooperation with federal marijuana prohibition laws. House Bill 1016 prohibits enforcement of any federal law or regulation prohibiting cannabis by any state agency, political subdivision of the state, or any agent or employee of the state or political subdivision of the state acting in their official capacity, or a corporation providing services to the state or political subdivision. The bill relies on the "anti-commandeering" doctrine that says states cannot be compelled to enforce federal laws. Click on the link for more. Tennessee Poll Reveals Splits on Marijuana Policy. A Middle Tennessee State University poll has found that only 33% said it should be legalized, with 57% saying it shouldn't. But when that 57% was asked if adults should be allowed to have marijuana if prescribed by a doctor, nearly two-thirds of them said yes. When the one-third that said legalize is combined with the 36% that said medical was okay, that creates a strong majority at least for medical marijuana. Kansas Legislative Foes Snub Debate. Key legislators blocking the advance of medical marijuana bills added insult to injury Friday by failing to show up to an informal debate on the issue at the state capitol to which they had been invited. Sen. David Haley (D), author of Senate Bill 9, invited Senate President Susan Wagle (R) and Committee on Public Health and Welfare Chair Sen. Mary Pilcher-Clark to the event sponsored by Kansas for Change, but they were no-shows. Guam Medical Marijuana Bill "Inorganic," Election Commission Says. The legal counsel for the Guam Election Commission said Thursday a pending medical marijuana bill violates the Organic Act that established democratic government in the US territory. At the request of legislators, Senate Bill 215 sponsor Sen. Tina Muna Barnes (D-Mangilao) amended her bill to have it approved by voters in a referendum, but the legal counsel said the Organic Act has no provision for such referenda. New Hampshire Medical Marijuana Modification Bill Stalled. A bill that would expand the state's medical marijuana program to include several more diseases, but also limit the amount of marijuana patients could purchase in a month is on hold after key lawmakers said it needed more work. House Bill 1616 has some problematic provisions, including one that would criminalize patients for possessing their medicine in a motor vehicle unless it is in a locked container, legislators said. Lawmakers will continue to review it, they said. Annual Monitoring the Future Teen Drug Use Study Released. The annual survey of drug, alcohol, and tobacco use among 8th, 10th, and 12th graders was released Thursday. There's not a whole lot shocking in it. Illicit drug use is generally down slightly, except for marijuana, which is up slightly, although in "non-significant" amounts among 8th and 10th graders, and flat for 12th graders. The complete survey is at the link. Uruguay's Mujica Says US, European Drug Policies Must Change. 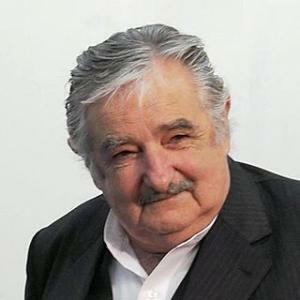 In an interview with Reuters Thursday, Uruguayan President Jose Mujica, whose country recently legalized marijuana commerce, said the US and Europe need to find a new strategy to deal with drugs. "The industrial societies are the ones that have to change," he said. "For a small country, it's possible to experiment with this, but it's also very possible for a developed country because of the resources it has. There are big markets, they have great buying power, and that is a big economic attraction. Until things change there, it will be very difficult to change elsewhere," said Mujica. "Any North American state is more important than Uruguay, in dimensions, in its economic force," he said. "But it's still a bit like a lady embarrassed to admit her natural sins and lying to herself. What we are doing is much more open."